Full featured Multi-Megapixel IP Video doesn't have to be expensive and it doesn't have to be an IP-only solution. StarDot's new NetCam SC gives you the best of both worlds in a compact and easy to configure package. Although the SC5 boasts a whopping 5 megapixel image sensor, it can be run at lower resolutions, including HD (1080P & 720P), portrait and widescreen modes. 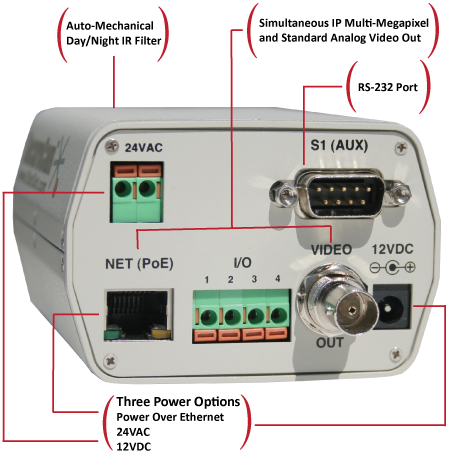 The NetCam SC was specifically designed to bring in all the standard features of the analog CCTV world and combine them with multi-megapixel video. This includes a mechanical day/night IR cut filter that allows the camera to go into IR mode at night. Add an IR illuminator and now you clearly read license plates at night, even with the headlights aiming into the camera. All NetCam SC cameras are designed to run at the resolution of your choice. If your customer's current infrastructure and storage isn't ready for 5 megapixel resolution, you can run NetCam at VGA or 1.3 megapixel today, and with the click of a button, switch to 3, 4 or 5 megapixel tomorrow. Unlike other IP camera companies, StarDot's history is deeply embedded in digital image processing. We didn't take a network device and simply throw in some imaging hardware. 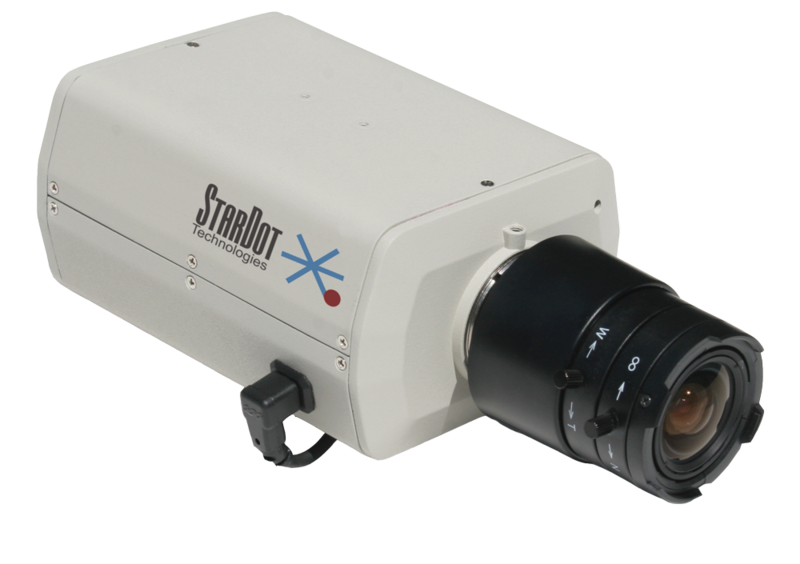 We packed fourteen years of digital image processing into our StarDot Imaging Engine™ processor and combined it with network hardware specifically designed for video transmission, The end result is that the clarity, color balance and low light performance of the NetCam SC video is light years ahead of the pack.